Bloody White Chocolate Apples are quick, easy and SPOOKY! 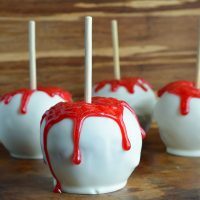 This fun Halloween recipe will be a hit with kids and adults! 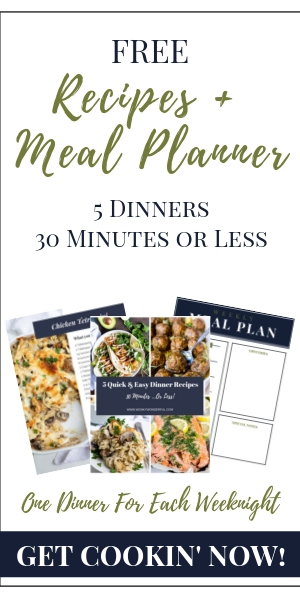 Your Halloween Party guests will be screaming for more! The kiddos have been begging me to make my infamous Jack Skellington Halloween Apples. 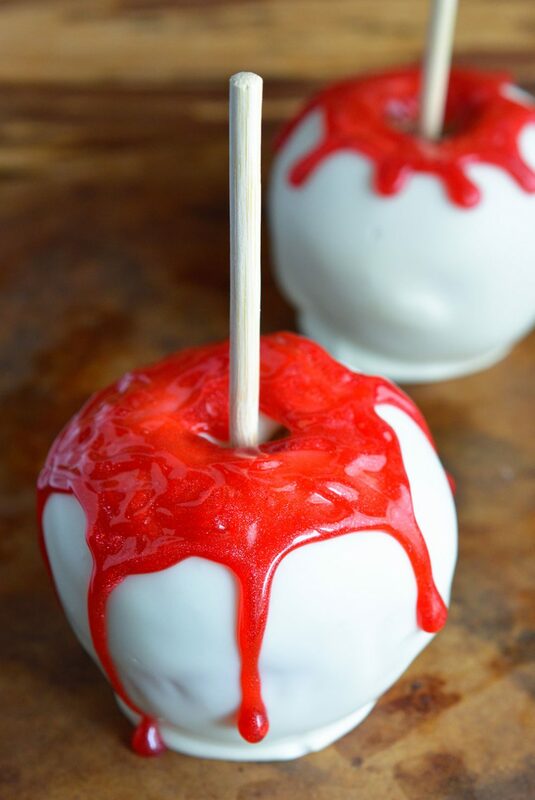 Instead, I surprised them with these white chocolate dipped apples, dripping with blood. Okay, dripping with Sparkly Sugar Gel. But don’t tell them that! I recently spotted a bloody apple kit at Target and totally ripped off the idea … ahem, was inspired to make a Do It Yourself version. I made these for kids. 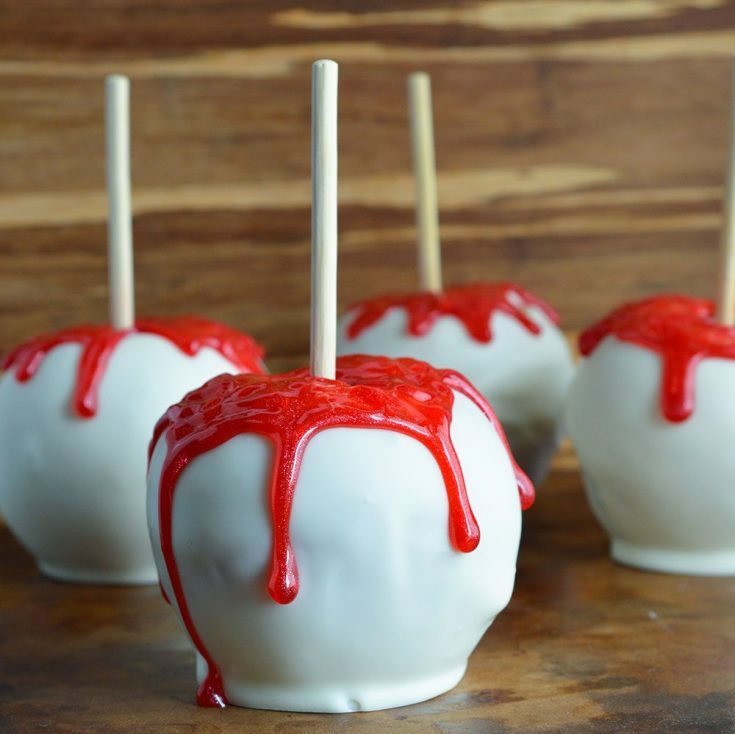 But, if you are making them for an adult party, it would be fun to impale the apples with steak knives instead of bamboo sticks. Of course, you may want to rethink this if your party involves cocktails! So I am not exaggerating about how quick and easy these apples are to make. They literally take about 10 minutes from start to finish. Unlike the Jack Skellington Apples, decorating these is not tedious at all. The red gel “blood” is supposed to drip down haphazardly so there is no need for perfection. 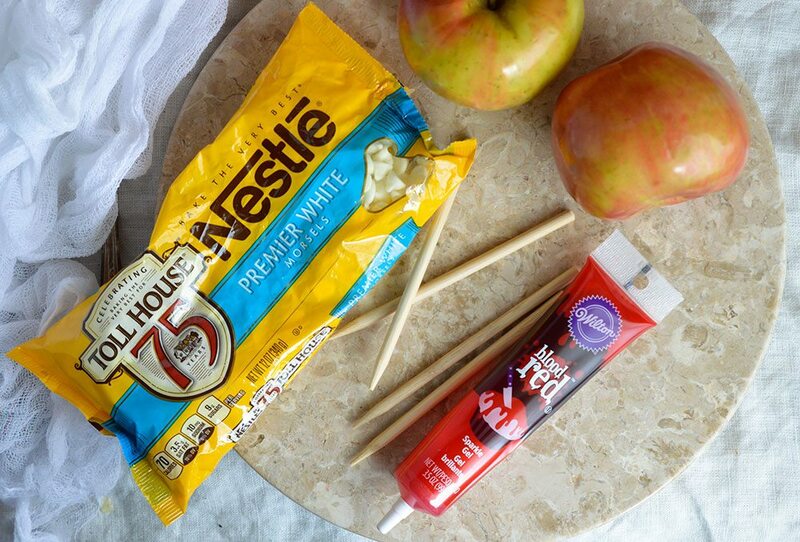 And all you need is your favorite apples, white chocolate morsels, shortening, wooden spikes and red sparkle gel. Thoroughly wash and dry apples. In large measuring cup, microwave chocolate and shortening for 60-90 seconds. Stop and stir every 30 seconds. After 1 minute chocolate will not be completely melted. Stir vigorously until all chocolate is melted and smooth. 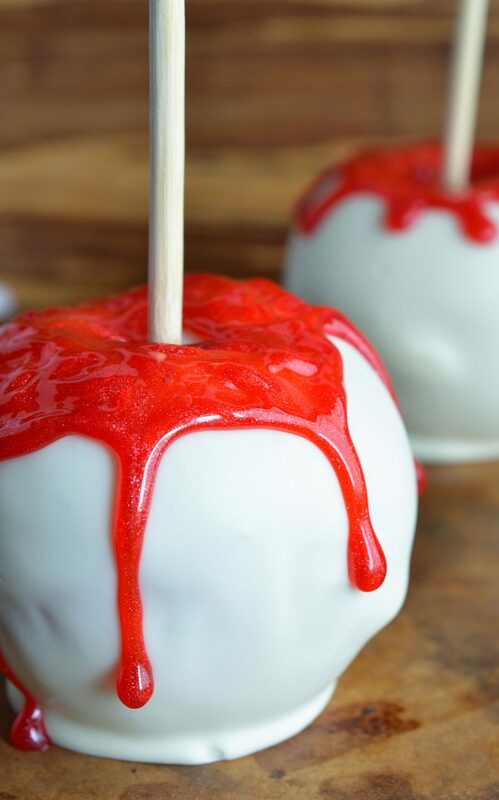 Dip apples in melted chocolate and transfer to baking sheet lined with wax paper. Double dip if needed. Refrigerate apples 5-10 minutes or until chocolate sets. Drizzle red sparkle gel on apple tops. Use a wooden stick to gently spread gel and manipulate "blood" drips. Refrigerate apples to prevent gel from dripping down further. Let sit at room temperature 10-15 minutes before serving to allow chocolate to soften.